Get the gift that keeps on giving. You work hard all year long. You deserve to spoil yourself and purchase this beautiful IM40 aquarium. For just $200, you will be on your way to relaxation. Don't waste your money on a massage, which will only relax you for 60 minutes. This aquarium will provide you years of enjoyment, without having to pay extra for a "happy ending." Come on down and purchase this NOW. If the post is up, this is still available and for sale. 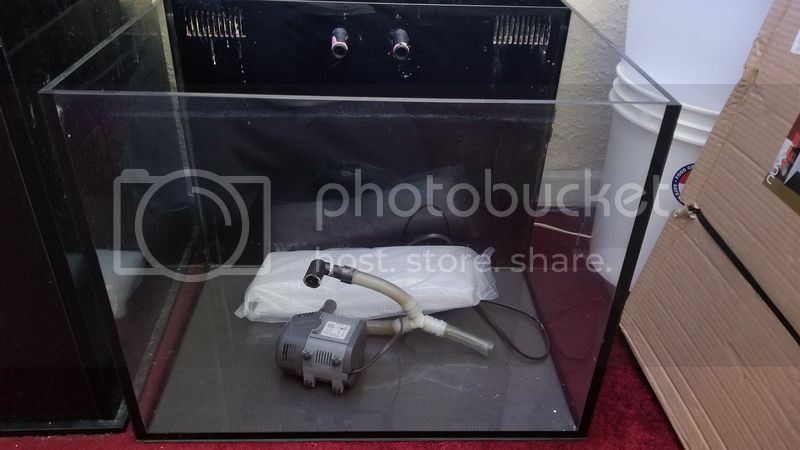 IM40 aquarium and stock pump included. What area are you in ? Is it just the tank? I am located in San Jose, about 10 minites from the Great Mall. Here are photos of the IM40.